The handling mind project group assembled to gather the most significant results of the project as a whole during November 28th and 29th. The results will be presented at the final seminar of the Human Mind research program on the 1st and 2nd of December hosted by the Academy of Finland. A note on these gathered results will be posted here after the seminar. 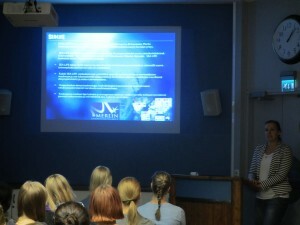 Here are some images from the Nuuksio seminar place. Handling Mind research was well presented at the international NordFo2016 conference Make it NOW! Learning, Exploring, Understanding that took place September 28th-30th. The conference was hosted by the Rauma Unit of University of Turku, and the conference was part of the anniversary celebration of 120 years of teacher education in Rauma. 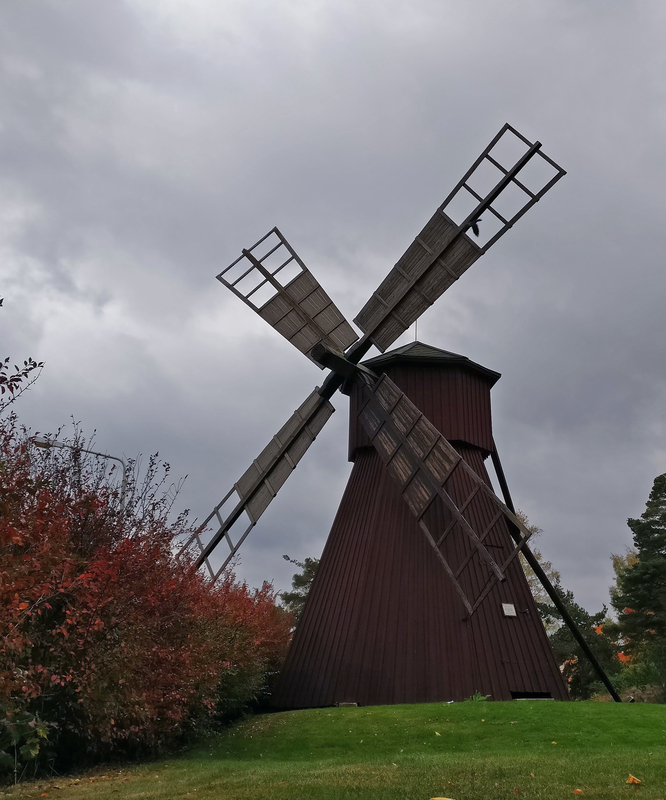 Rauma campus has a windmill. The first three abstracts are available here, and the last one can be found here. 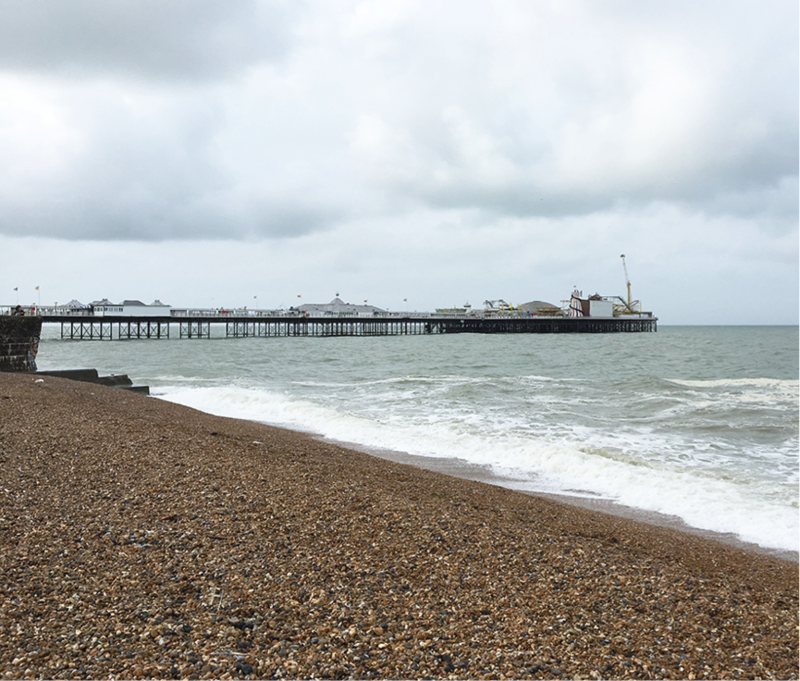 The Handling mind consortium created a joint event together with the Norwegian research group Embodied Making and Learning (EMAL) from The University College of Southeast Norway, during the Design Research Society (DRS) 2016 Conference in Brighton June 28-30. We arranged a joint additional theme session called EMBODIED MAKING AND LEARNING and invited papers, from which six papers made it through the review process and were presented in the session on Wednesday 29th of June. Marte Sørebø Gulliksen from the The University College of Southeast Norway acted as the sub chair and co-conveners were: Pirita Seitamaa-Hakkarainen, Helsinki University, Finland together with Maarit Mäkelä and Camilla Groth, Aalto University, Finland. The context of this thematic session is the collective endeavors formally established at the LearnXDesign 2015-conference in Chicago, June 2015 by researchers from three research groups in Norway, Finland and Canada. At that conference, the consortium held a full-day open symposium. Papers from that symposium were published during the DRS-conference as a special issue of FORMakademisk. Here you may find five publications that are contributions of the Handling Mind researchers. The first presentation, The role of sensory experiences and emotion in craft practice by Camilla Groth, linked sensory experiences with emotion and sense making in craft practice. Drawing on new knowledge on embodied cognition and the importance of emotions in risk assessment and decision making process, she presented a practice-led study in clay throwing. 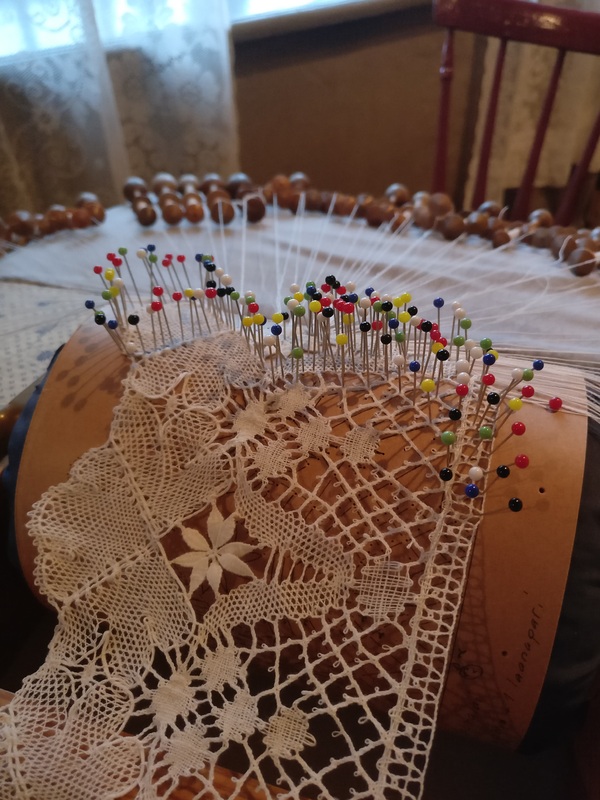 Groth’s analysis of how emotions and experience guided her risk assessment, decision making and problem solving expand current knowledge of the role of emotions and sensory experiences in the embodied making processes in craft practice. In our second presentation, Learning what it means to learn: first-hand experience in the process of material transformations, By Biljana Fredriksen we dive into the sense making process of children and learn how their embodied material exploration aids in new understandings. The paper presents specific examples of three-year old children’s first-hand experiences in material transformation, and discusses how these experiences relate to their learning. Fredriksen proposes that even adult learn through such experiences, and that it even could be an arena for learning how to learn. After these two introductory presentations we heard about two research projects that combine design research with neuroscience. Traditionally the mind has been studied separately from the body, but as a new understanding about the embodied mind has emerged there is a need to research the embodied mind in action. The first of these two presentations, Why making matters—developing an interdisciplinary research project on how embodied making may contribute to learning by Marte S. Gulliksen, envisions a new project development that would be truly interdisciplinary. Knowledge from the rapidly developing neurosciences shows promise to generate insight that could be useful for confirming and expanding current knowledge on how embodied making contribute to learning. 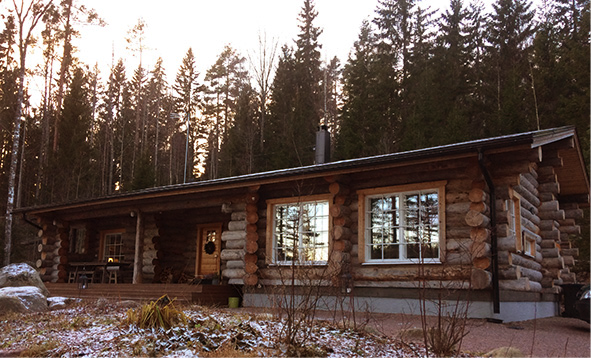 Gulliksen has taken on the challenge to write about relevant neurobiological knowledge from a woodcarver and craft teacher perspective through a series of articles. In her paper, she presents this strategy and the aims for such a project development, tentative ideas for future interdisciplinary studies that has been put forth in the series of articles and the methodological framework for the project: an integrative applied research approach. The next paper presented a project combining the study of mind and body in design and craft practice, the Handling Mind project. The results of this four-year project was presented by Marianne Leinikka, (image 2 and 3) in the session on Physiological measurements of drawing and forming activities. 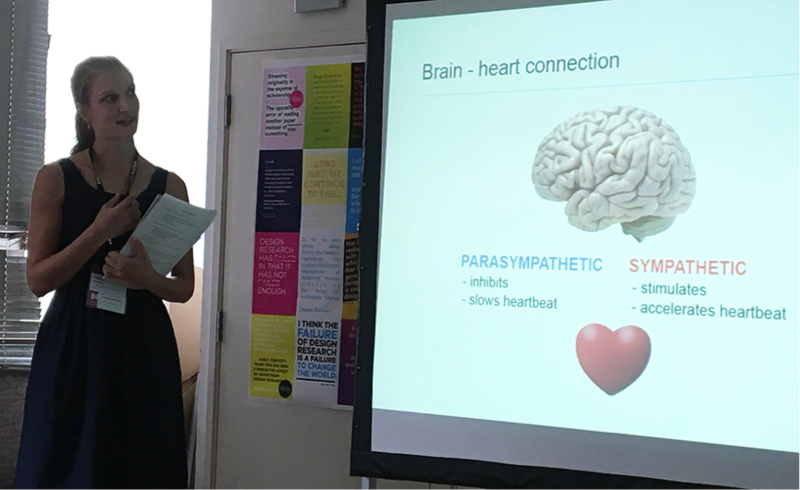 In the Handling Mind project, psychophysiological experiments were designed and conducted to study the relationship between making and feeling, handling creative situations and the embodied mind. Through a careful design comprising visual and material design in three different tasks, the study’s findings expand current knowledge on embodied activities. In the following three presentations the theme of embodied making were further expanding the topic from other perspectives. In her presentation Constructing, deconstructing and reconstructing knowledge through making Anna Louise Piper bridges the gap between implicit and explicit knowledge. The paper presents a practice-led study of the development of composite woven garments, and uses this study to demonstrate how process object analysis advance creative practice, in particular in regards to the transition from hand production to digital production. The situatedness of a practice puts demands on the design process to be embedded in real world situations and to consider the lived experiences of the users. The following presentation; Experience Labs: co-creating health and care innovations using design tools and artefacts by Tara French, Gemma Teal, and Sneha Raman, presented the project “Experience Labs”. Experience labs are an approach developed to facilitate meetings between those receiving and delivering healthcare. The labs are means of co-creating new solutions by shared insights from participants from both ends of the health care, to engage in the design process and experience new concepts. This paper brings in a new perspective on embodied making through design for healthcare. 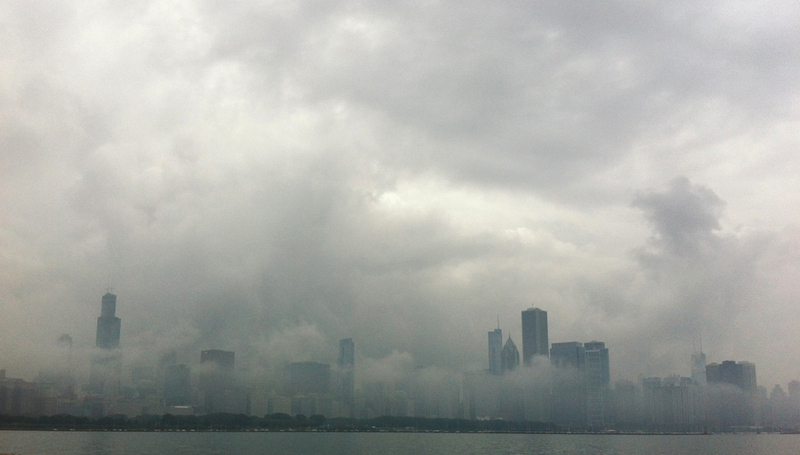 The symposium was part of Learn X Design conference, held in sunny (mostly) sunny Chicago, IL USA, June 28-30, 2015. In addition to the authors listed above, also two other presenters were heard: Catharine DISHKE-HONDZEL, PhD, Western University, Canada, and Joel LOPATA, PhD, Western University, Canada. After the public part of the symposium, all the facilitators from the three research groups that organised the symposium took some time to plan for the future. During the period of 18/11 2014 – 15/3 2015 we collected data for Track C at the Aalto University, School of Art, Design and Architecture. The aim of the Track C research strand is to research physiological reactions during design processes while drawing and forming clay. 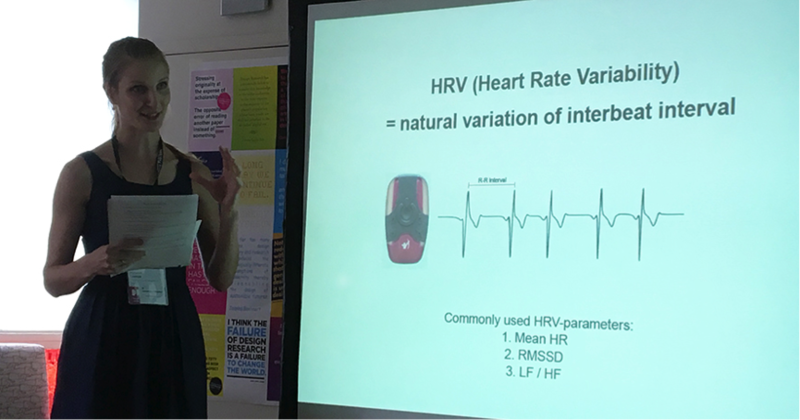 30 Design students and professionals participated in physiological tests during a 5,5 hour long research day, including lunch and an interview. The participants performed drawing and clay forming tasks according to instructions given on a computer screen. The participants were also interviewed on the subject of their creative process by two Ma students from the University of Helsinki, Department of Teachers’ Education. During the test the paticipants were wearing two activity sensors (Actigrafia) on their arms and a heart-rate sensor (Faros) on their upper chest. Between the test sessions the participants were filling in questionnaires about their moods at the different points of the test. They also evaluated them selves whether they were experts or novices in drawing and forming. 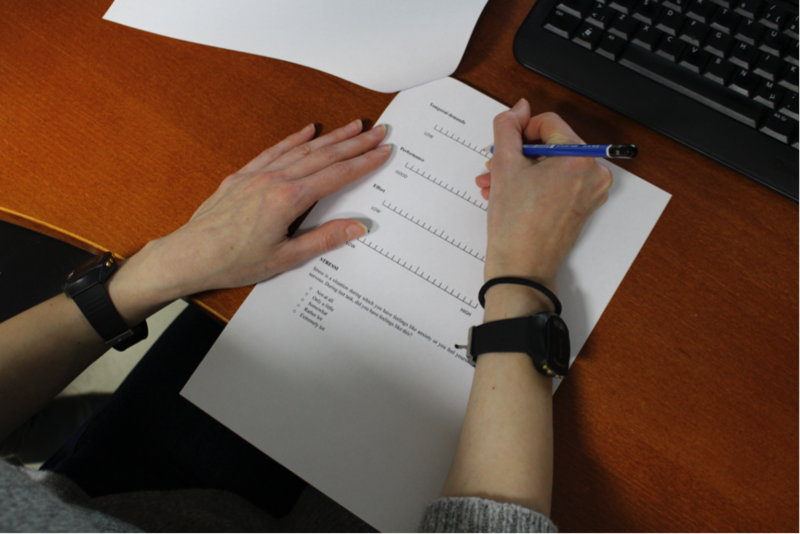 The research participant is filling out a questionnaire. Image: Camilla Groth. How do drawing and forming clay differ in terms of copying, creating novel design or free improvisation tasks? Is copying more frustrating than creating novel design? 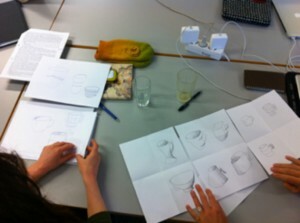 Is designing a cup more frustrating than free creative improvisation? By instructions the participants either molded in clay or drew three types of drawings: 1) copy of a line drawing of a cup (i.e., copying task) 2) a creative design of a cup (i.e., design task) and 3) a creative drawing of a self-chosen topic (i.e., free improvisation task). Prior to forming or drawing, the students had 10 seconds to look at the drawing or plan their work. The following instructions appeared on a computer screen: 1) Be ready to copy this image; 2) Be ready to design and draw or mold a new type of cup; or 3) Be ready to draw or form whatever you want. The time of drawing and molding was restricted to two different timeframes, one long and one short. Each of the three tasks was done 10 times. After a break the stimulated recall interview was arranged, the interviewer watched the video privately with each of the paticipants, and they had the possibility to reflect and comment on their work (probing certain feelings, inspirations, disturbances and pressures). The interviewer noted the emotional aspects as well as remarks related to the work itself. The stimulated recall session was also video recorded for subsequent analysis. 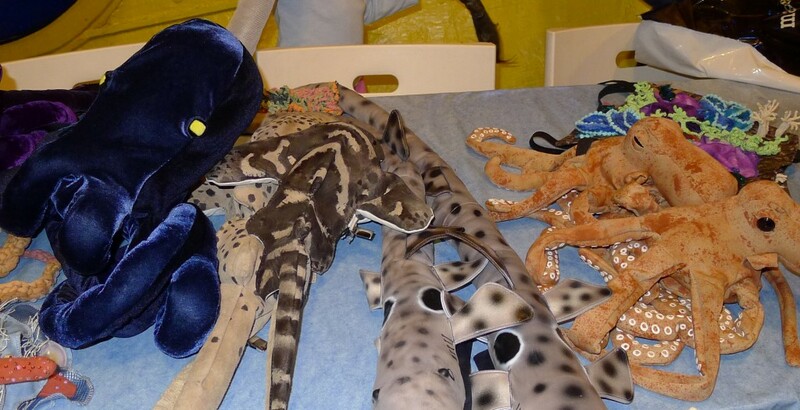 Some of the many hundreds of artefacts produced during the project. Image: Camilla Groth. 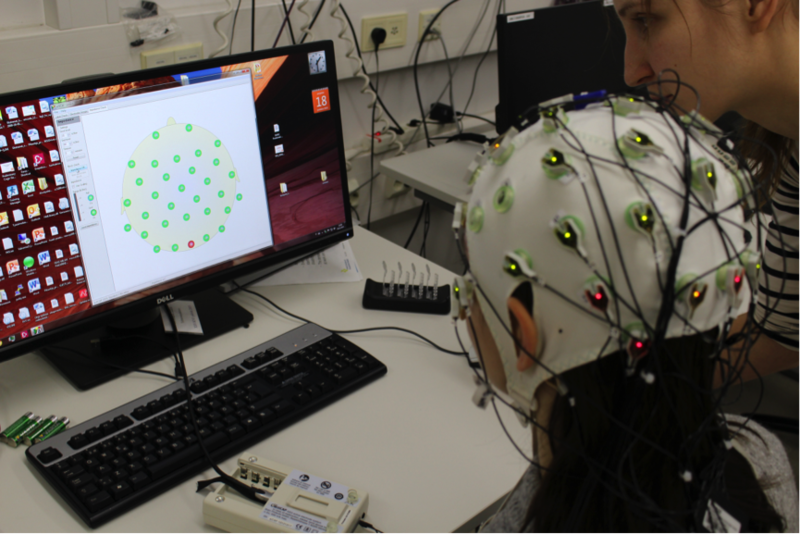 After this process we further screened these participants for subjects suitable for EEG measurements during the same research setting as described above. 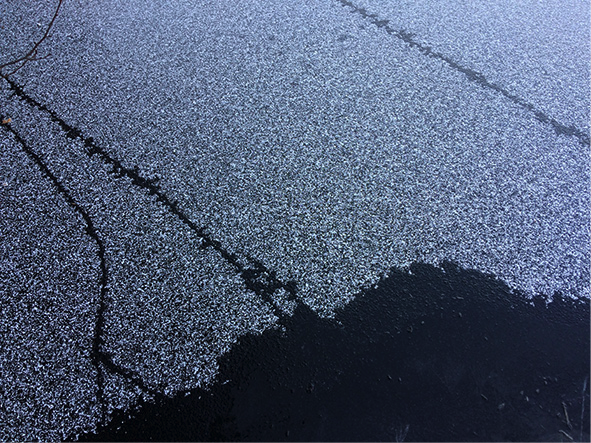 Five research participants were selected and the additional measurements were performed at the Finnish Occupational Health brain laboratory in December 2015. 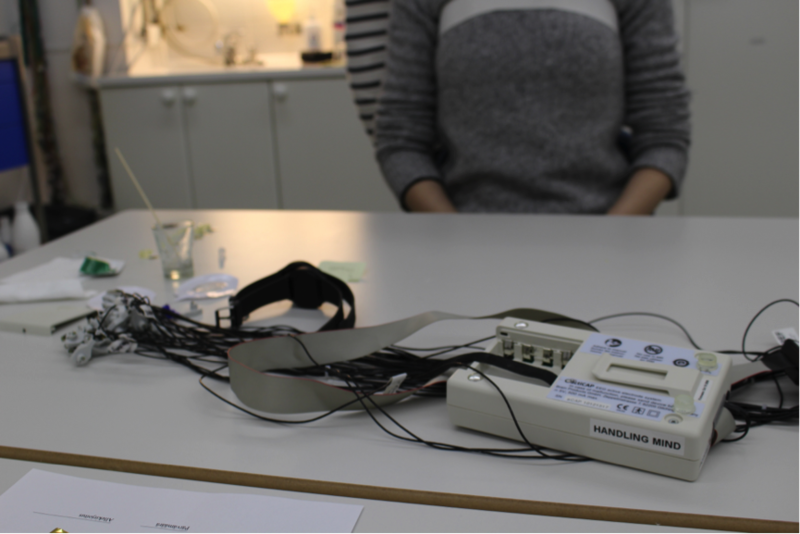 The equipment for EEG measurements ready for use. Image: Camilla Groth. The participant is being prepared for the experiment. Image: Camilla Groth. 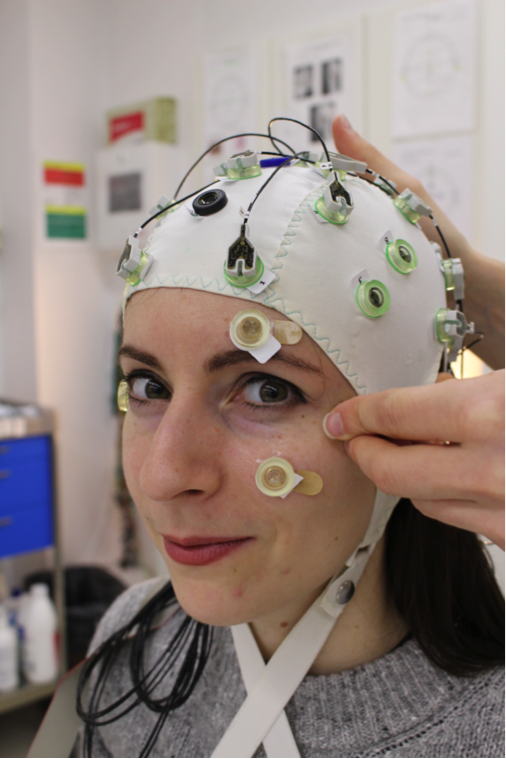 The analysis process is still in progress for the EEG measurements. However we experienced that the HRV and participant interviews showed the largest amounts of frustration in the copying task compared to the free task. We also found that forming clay and drawing showed differential effects in students who are used to working with clay / drawing. 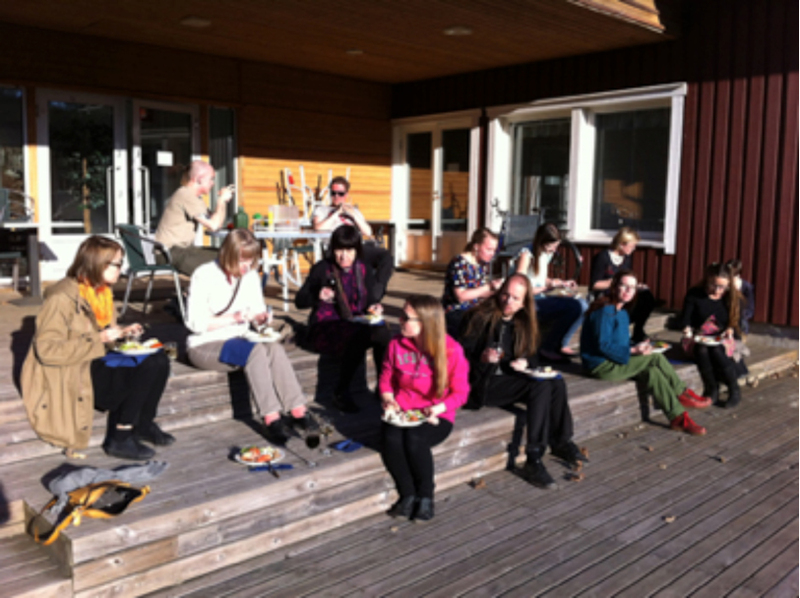 The data collection was facilitated by Doctoral students Marianne Leinikka and Camilla Groth. Five students from the Design department assisted in measuring of the subjects. Research professor Minna Huotilainen from the Finnish Institute of Occupational Health – Brain and Work Research Centre was the responsible researcher in this track. 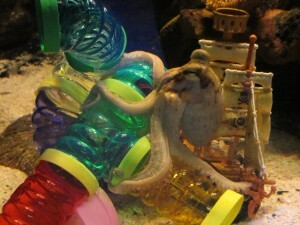 One of the research participants. Image: Camilla Groth. 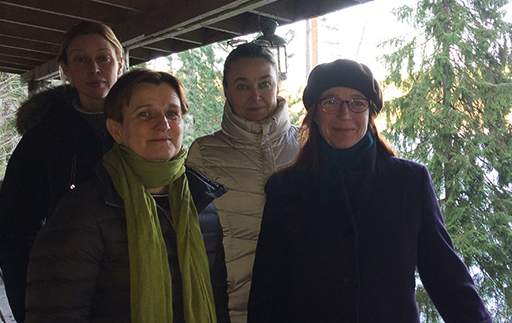 Seitamaa-Hakkarainen, P., Huotilainen, M., Mäkelä, M. Groth, C. & Hakkarainen, K. (2014). The promise of cognitive neuroscience in design studies. In Lim, Y.-K., Niedderer, K., Redström, J., Stolterman, E., & Valtonen, A. (Eds.). (2014). Proceedings of DRS 2014: Design’s Big Debates. Umeå, Sweden: Umeå Institute of Design, Umeå University. pp. 834-846. Another research paper, presenting and discussing the first analysis of this collected data, has just been accepted to the DRS 2016 Conference in Brighton, and will be presented there this summer. We are currently in the process of analysing the data from the last measurements that we hope will summon into yet one publication during this last year of the Handling mind project 2013-2016. 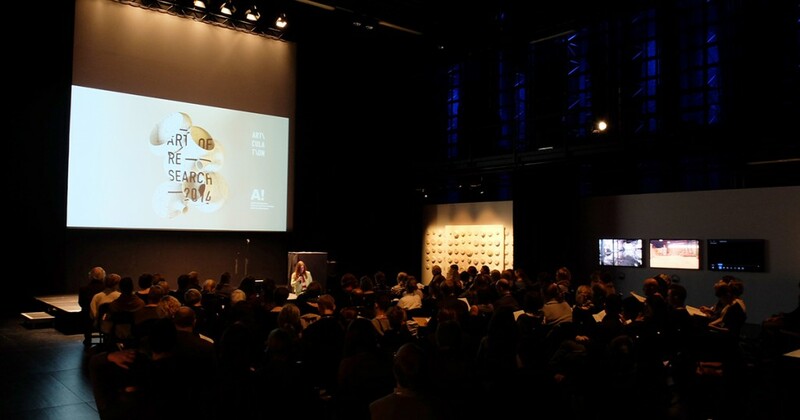 The fifth Art of Research Conference was held at the Aalto University School of Arts, Design and Architecture, Arabia campus over two days in November. The 112 participants consisted of a very international crowd, from 20 countries travelling to Helsinki from as far as New Zealand. The Conference aimed at sharing an understanding about the ontological, epistemological and methodological issues of practice-led research, and to offer an academic framework for discussing the special themes of this year, experience, materiality and articulation. Art of Research 2014 conference space served as a venue for the main exhibition. How is experience articulated through artifacts and their making? How does material agency and affordance affect the making of an artifact? 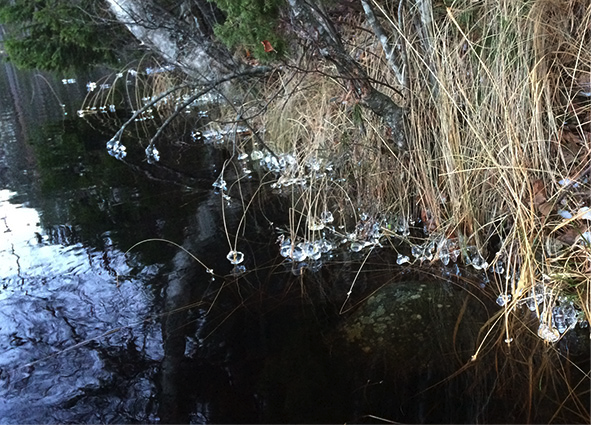 What stories lie behind artifacts and how do narratives support creative activities? 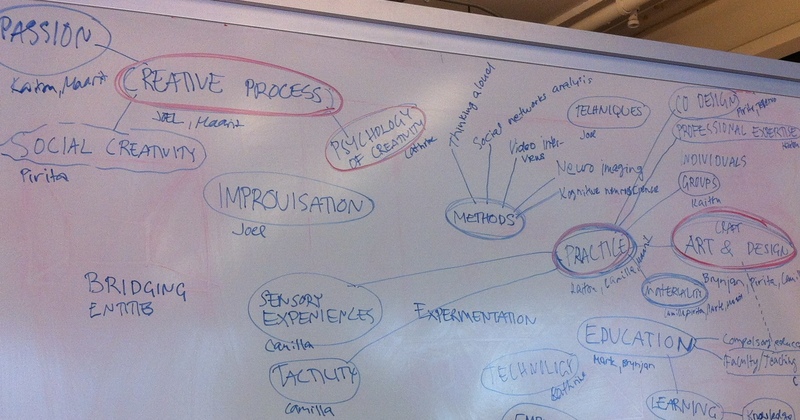 What is the role of the body in research through practice? How does an exploratory approach to creative processes and materials contribute to the production of new knowledge? 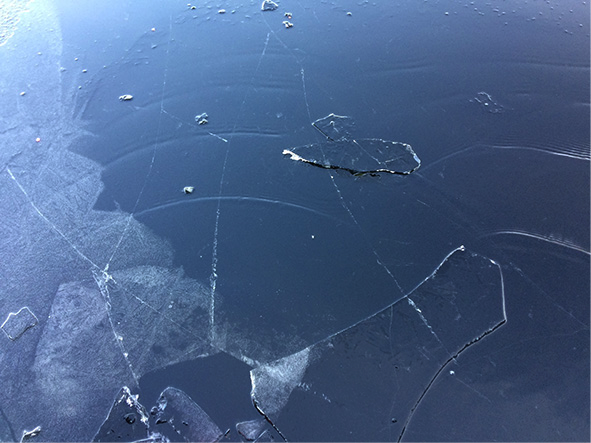 Articulating artistic processes in academia, through writing. Keynotes for the conference were Welby Ings, Professor in Design at AUT University, New Zealand, Juhani Pallasmaa, architect and professor Emeritus of Aalto University and Kerstin Abraham, Professor of Fine Arts and Ceramics in Muthesius Academy of Fine Arts and Design, Germany. 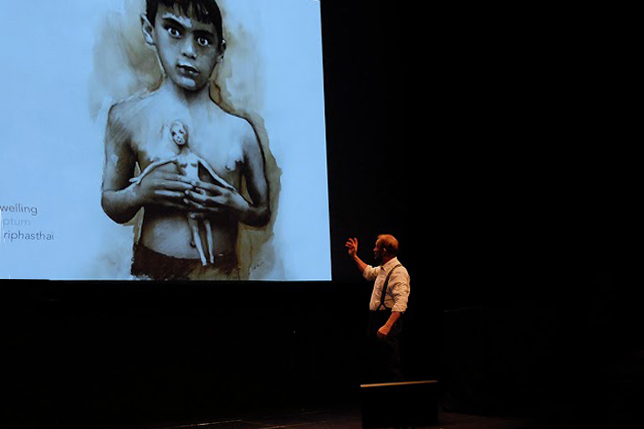 The themes discussed by the keynotes included drawing as a form of cognitive activity: Juhani Pallasmaa highlighted the connection between the hand and the brain, while Welby Ings introduced the method of immersive drawing to create a film’s story and treatment. Kerstin Abraham’s presentation was focused on the conference’s special theme — ceramics. Keynote presentation by Welby Ings. As always the core of this conference is to highlight also the artifacts as a contribution to knowledge making. Therefore the presenters of the conference proceedings were again encouraged to bring their artifacts to the conference exhibition that was built in the main presentation venue. Exhibited work by the keynote Kerstin Abraham. The conference was preceded with a one-day pre-conference workshop, organized by two members of the editorial boards of the Journal of Artistic Research (JAR) and Ruukku. The workshop consisted of a crash course in the use of the Research Catalogue and the very experimental publication platform that these Journals make available for researchers. 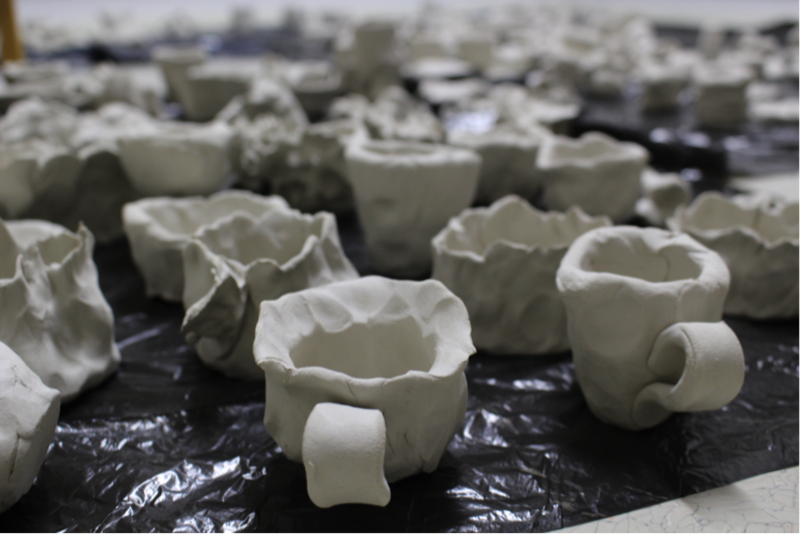 This year the conference also included the special interest group of ceramics and related research. 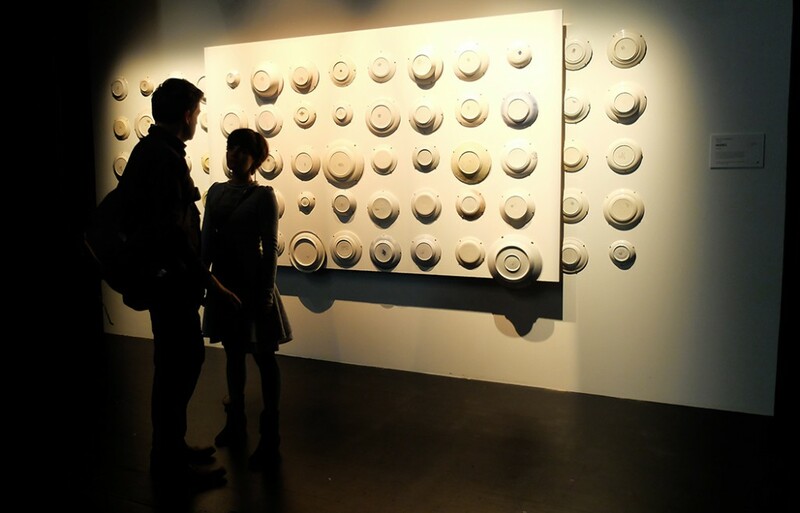 Therefore the conference was combined with several satellite exhibitions with ceramic as the main focus. Within the Arabia campus three related exhibitions were arranged, called Material Matters including a student exhibition, a teacher and staff exhibition and a research exhibition. Material Matters student exhibition in Lume gallery. The satellite exhibitions also included two large public galleries. 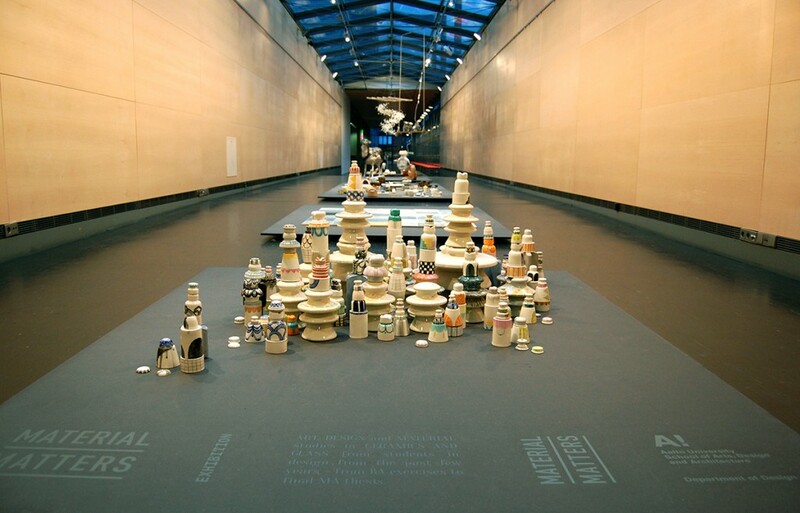 In the nearby Arabia gallery an artist association called the Fat Clay Group exhibited their work and in the Helsinki Design museum the works of 42 ceramic artists are shown as the main exhibition during the autumn 2014. 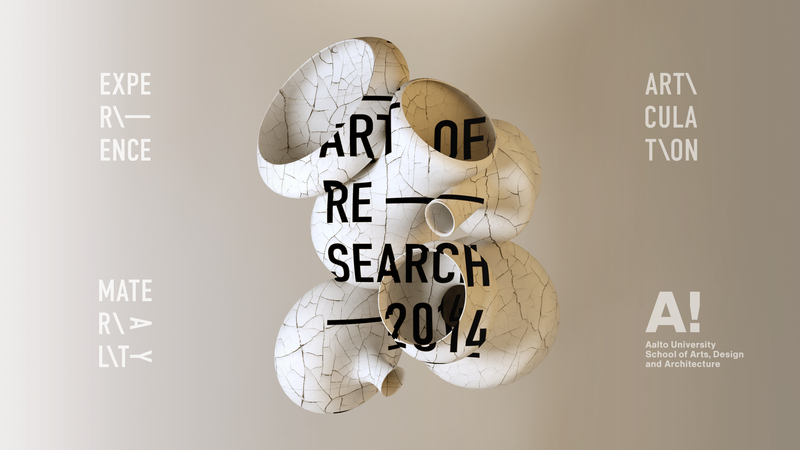 The special theme of ceramics encouraged also practitioners in the field to join the research conference. In addition a special course for master and doctoral students was arranged called “Introduction to practice-led research”, which enabled also the students to enjoy the conference. This years collaborators were with the University’s Department of Film, Television and Scenography, the Handling Mind research project and the Finnish Association of Designers (ORNAMO) together with the Association of Finnish Sculptors). During autumn 2014, students in Textile Teacher Education, University of Helsinki, designed and produced children’s accessories with the theme “sea animals”. 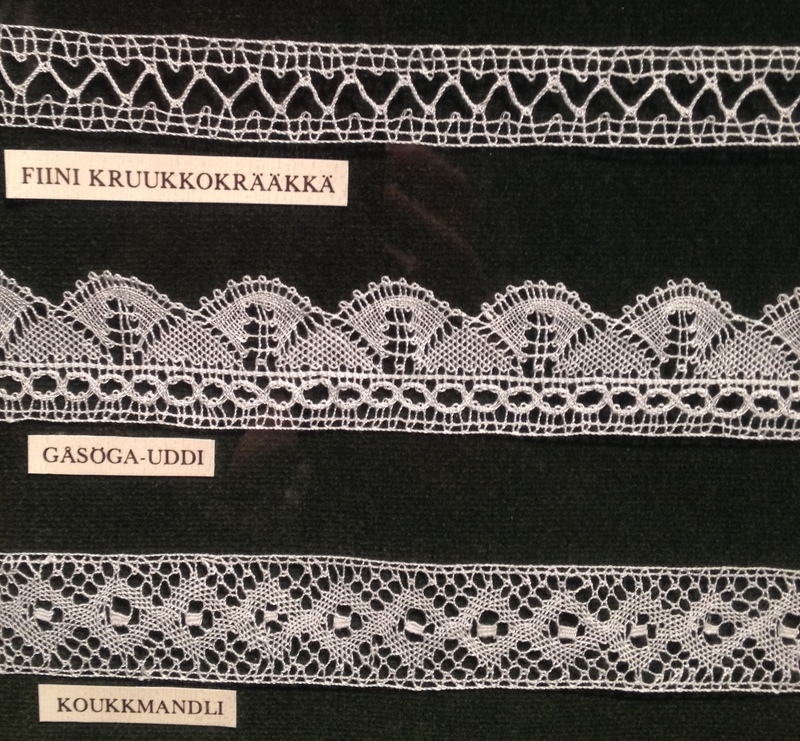 Finalized designs were donated to SEA LIFE Helsinki. Octopus. Photo by Jarno Kuusinen. 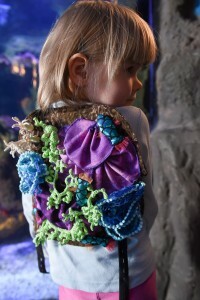 Accessories are accessible to children visiting exhibitions. Starfish in a fishing net. Photo by Jarno Kuusinen. Corals. Photo by Jarno Kuusinen. It is autumn and time to collect some more research data for track B! First year students of Textile Teacher Education visited SEA LIFE Helsinki to get acquainted with and inspired by sea creatures. Guest Experience Supervisor Paulina Ranta welcomed us and introduced this autumn’s design challenge. 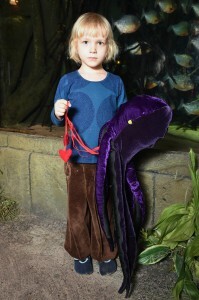 Paulina Ranta presenting SEA LIFE. Photo by Tellervo Härkki. 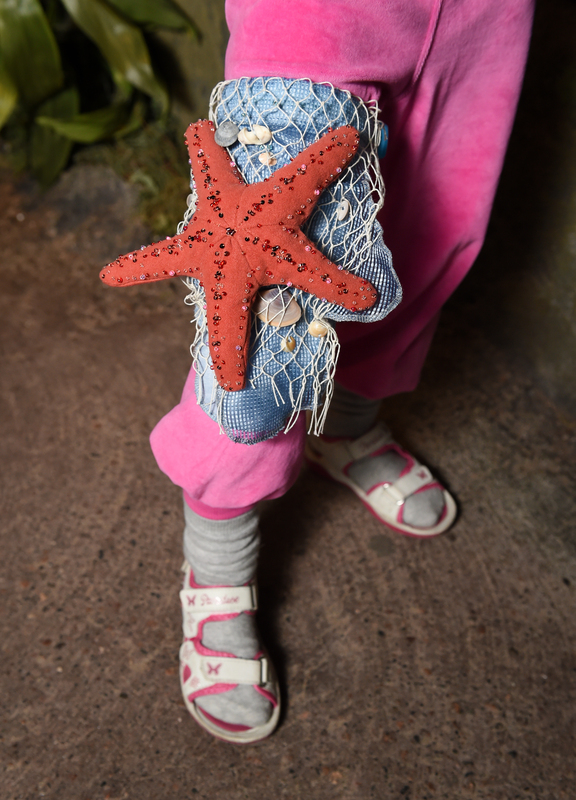 This year the students will design accessories for children visiting SEA LIFE Helsinki. 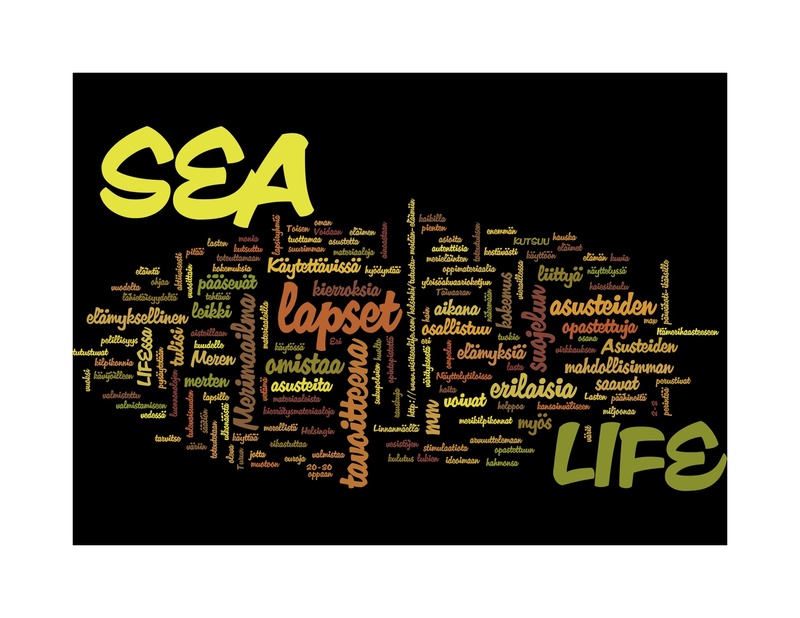 Design challenge autumn 2014 – word cloud by Wordle. 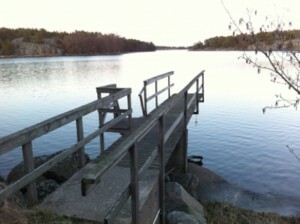 Tvärminne scenery. Photo by Camilla Groth. 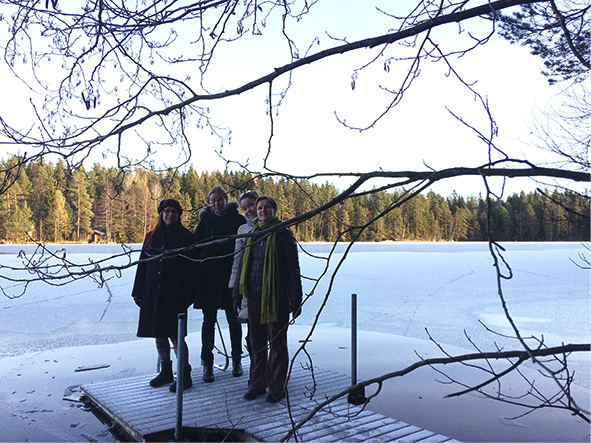 All four Tracks of the Handling Mind research project gathered together at the Tvärminne zoological station on April 22th to get an overview of the work done so far and to make joint plans for the future. Especially the initiation of Track C was discussed in detail, as it constitutes of a more challenging research setting. Pilot tests of the research situation were conducted and resulted in a leap forward in the understanding of the over all setting. The research setting will next be tested in combination with track B tests that are to be conducted in June. Plans for time windows in the use of EEG equipment during performing a design task. Photo by Krista Kosonen. Piloting research setting of Track C. Photo by Krista Kosonen. Piloting research setting of Track C: Drawing task. Photo by Camilla Groth. The seminar was very successful in bringing the different Tracks together and enabling a mutual understanding of the direction of the research as a whole. The Seminar was followed by a two-day writing retreat the 24 – 25. During the first day the participants worked intensively on the collected data in small groups. 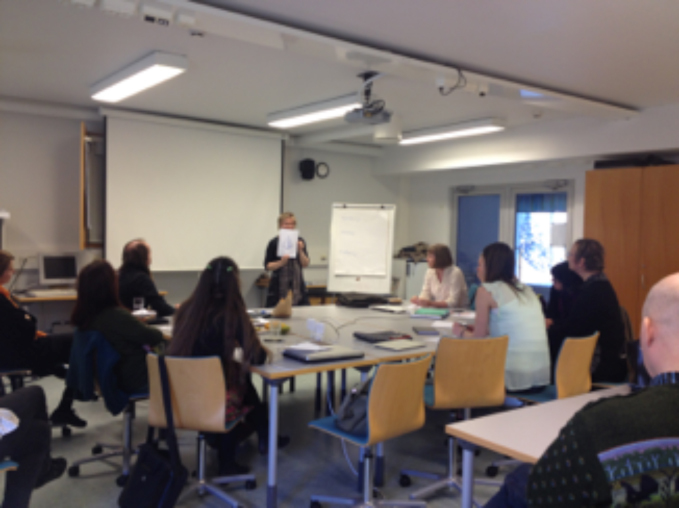 The second day started with discussion on analysing methods and analytical frames in Track A. 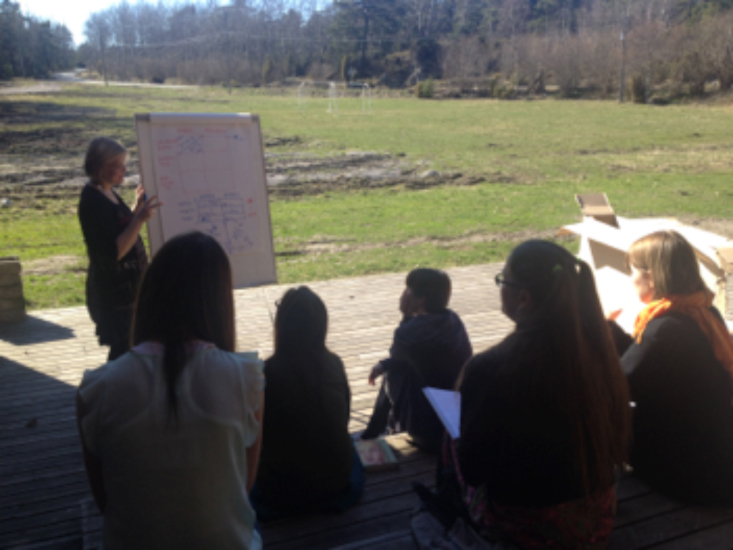 The retreat provided a good opportunity to revise also the article writing plans and a clear focus for each article. 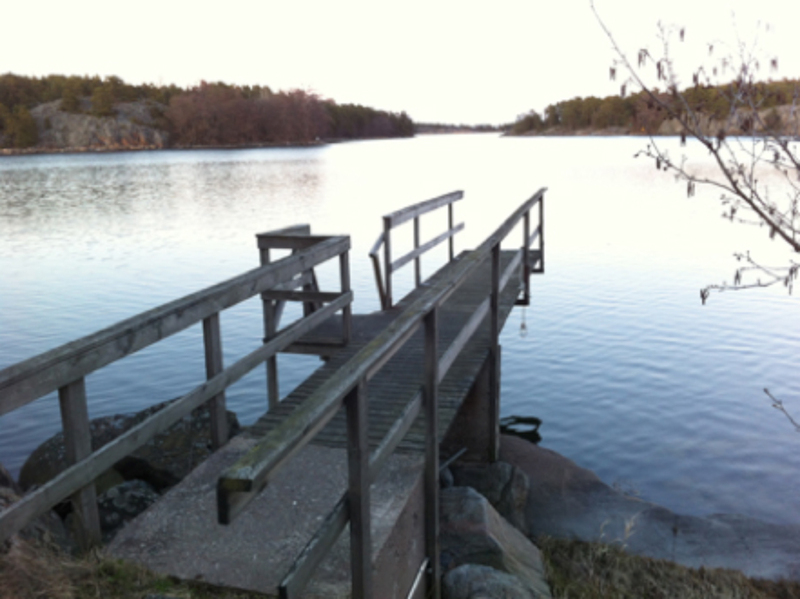 Preliminary plans were made for the presentation of the Handling Mind project in a poster session during the Academy of Finland joint Human Mind seminar in the up coming autumn. The handling mind group having lunch on the terrace. Photo by Camilla Groth.